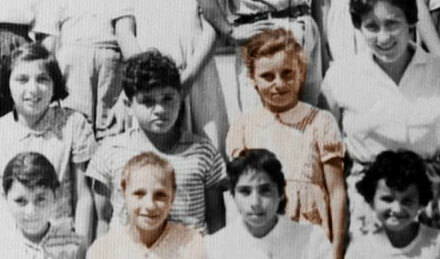 Seven women arrive in Israel by ship in the 1950s and 1960s and are sent straight to Dimona, a town recently established in the desert. They now open up and share their life stories that have never before been told from their perspectives. What happened during the first fifteen years to the girls and women who arrived with their families from North Africa and Poland and found themselves building a town in the middle of the desert? They talk about the pain of leaving their homes behind, about poverty and the difficulties of adjusting in their new homeland, and about their determined attempts to create rich and meaningful lives. In the film Dimona Twist, which mixes between conversations with the protagonists and private and public archives, they recount the struggles they took part in and the insights they gained, with humor, sorrow and dignity.